I feel profoundly concerned about the direction our our politics are headed. Just reading the headlines depresses me—but ultimately, I don’t want to check out from what’s happening in the world. My children are counting on me to preserve a just, free, and beautiful world for them to inherit. Perhaps you’ve felt this too; concerned about the direction we’re headed, but helpless to influence any change. 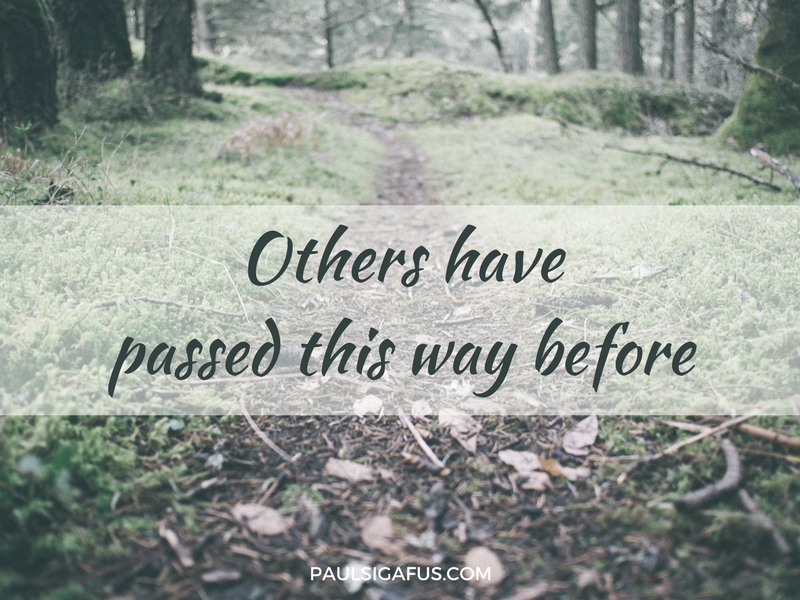 OTHERS HAVE PASSED THIS WAY BEFORE. When I remember this, I loosen the chains of powerlessness and victimhood. I recall the courage of people who didn’t ask for trouble, but responded with conviction when trouble came. I feel the invitation to learn from others who were resilient and persistent in standing for truth, virtue, and justice. When I remember that others have passed this way before, I compassionately recognize how my privilege has made me soft. I recognize how, because of my place in society as an educated white heterosexual male, I haven’t faced the same struggles that others have faced all their lives. I honor that others built their resilience through years of persevering in a struggle for justice. If I truly want to build a beloved community, nation, and world, I accept that I need to exercise and stretch in uncomfortable ways. I have to become resilient working through my fears if I’m to help build a world that I’d be glad for my children (and my children’s children) to inherit. I know I’m not the only one facing this. We need to do the hard work of figuring out how to work together, despite our fears and differences. Are you looking for inspiration and staying power in the struggle for liberty and justice? I know I am! It’s only fitting during Black History Month that we look to civil rights leaders who worked tirelessly to establish a more just and equal society. We can look to the examples of ​Vincent Harding, Ruby Sales, Martin Luther King Jr., Bayard Rustin, Senator John Lewis, and Maya Angelou. They have passed this way before. We can learn so much from their wisdom, perseverance, humanity, love, and dignity. There are lots of great resources out there! I follow Pope Francis and Eugene Peterson on Twitter. I also have been re-reading chapters 22 and 25 of the Book of Matthew. Thank you for reminding me that this is not the first time in history where people have struggled. The website http://www.civilconversationsproject.org/ has a lot of great podcasts with some of the people I mentioned above: John Lewis, Ruby Sales, and Vincent Harding. You can also find some of these interviews on the On Being podcast with Krista Tippett.